PVC Water Stops are profiles based on specially formulated plasticized PVC composition. PVC Water Stop is used in concrete masonry construction of hydraulic structures to safeguard from hydrostatic pressure and water seepage. Play a critical role in the integrity of concrete structures. They provide a fluid tight diaphragm when embedded in and running through concrete joints. 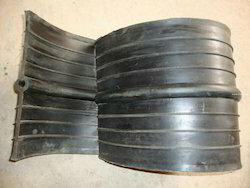 This kind of seal is used for providing resistance against water. They are applicable in hospitals, offices, business organizations and houses. They are made of good quality PVC plastics. Our product is highly weather resistant and available at reasonable prices. We offer this PVC Water Stopper Seal in different sizes. We are renowned as one of the most popular enterprises in this industry, offering a wide gamut of Ribbed Water Stop Seal that is ideal to protect the operator from electric shocks. Offered Ribbed Water Stop Seal is manufactured using quality tested raw material and progressive technology in accordance with industry standards.